The Phaesun Rural Electrification Kit En Light is an easy-to-install turnkey solution for bright illumination of large rooms. 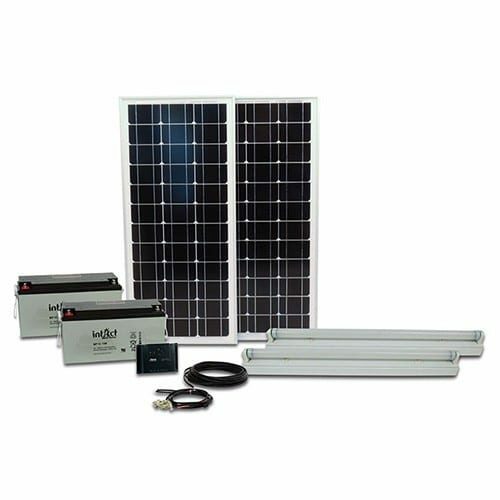 Phaesun offers a complete kit for solar lighting including two LED light tubes, all equipment for charging, accessories and installation manual. The kits provide light for 6 hours a day. Therefore it is ideal for the use in schools, public administrations, health posts etc.